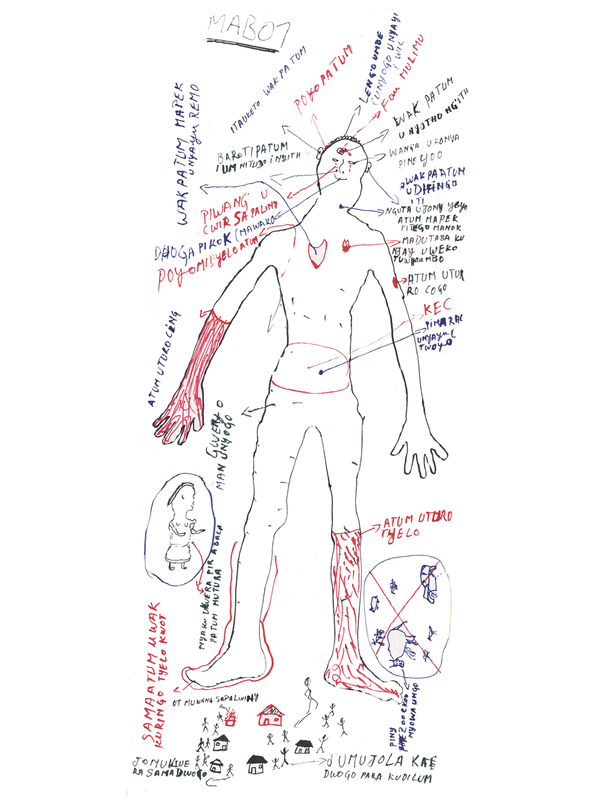 This body map was created in Mahagi by two individuals, both of whom are male former underage combatants. Staff from ACIAR, HHI and ECI oversaw this body mapping session. Few body maps present entire communities as accepting former underage combatants and instead depict a more complex and sometimes piecemeal acceptance. The Mahagi participants’ body map depicts a scenario where the community shuns a former underage combatant, who is shown trying to enter the community (a figure on the outskirts with an arrow leading to the village).